I wonder if this can be done using a fixed-point implementation for a massive speedup. I’m also curious how the performance of Turbo BASIC compares to raw 6502 assembly. Not too shabbily. Far more efficient than the Atari ROM Basic, which is why I suspect the floating-point calculations are the bottleneck. Though, I’m not familiar enough with the SVG format to know if it is possible to move them to fixed-point. I believe it can be. Using the q basics. If then else. 3 n 3 set in seq of 6 could cause a key function to upload a predetermined outcome. Excess is key on one end n verifier upon the other. Making your confirm n circuit. Neutralize the electro static n allow for rapid computation computation. But I know nothing so disregard any of this as I no experience in the field. Only conceptual abstract thinking with a understanding of the whole. I can’t help I’m sry, if by God’s grace it helps you, then blessed be the Lord. Either way good luck n bless u on the quest n bless God. Squeezing current formats into 80s machines is always a challenge. 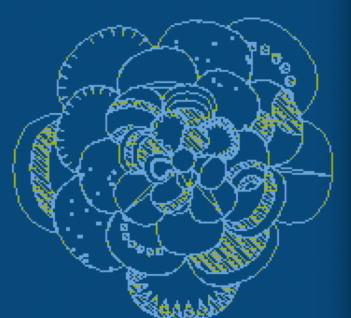 For fans of the machines with The World’s Worst Graphics (TRS-80’s 128 x 48), even more so! Obviously for only really tiny GIFs!